I was going over the charts on the sector level. I realized that the groceries sector, MG734 which is a custom index from worden, is forming a support line which used to be a resistance line. So what does that mean? That means it’s time to rotate money into the grocery sector. 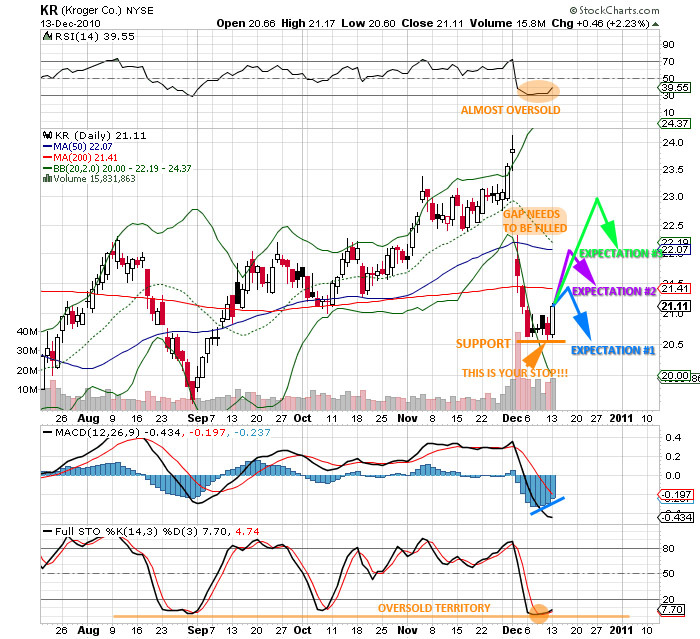 So I looked at KR, my favorite trading vehecle in the groceries sector. What a huge drop it had on the 1st of December!! It looks like its forecasted growth rate is not as good as expected. But we all know that the selling is overdone. Arbitrage opportunity!!! 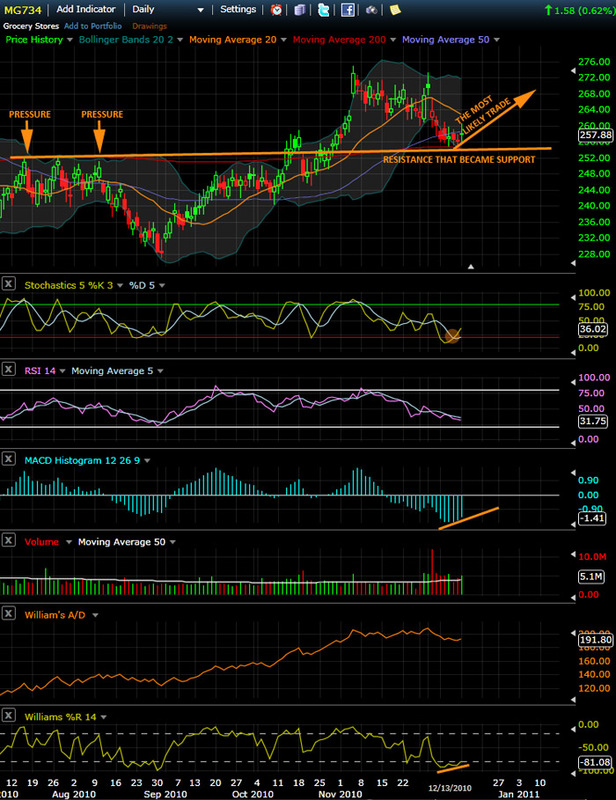 There’s a clear support line at the 20.50ish level. So that’s going to be my stop. If I’m wrong, I get out with a loss at 20.50. There are three scenarios that I expect to happen. Expectation #1: Failure at the 200 SMA. Expectation #2: Failure at the 50 SMA or 20 SMA which ever is lower. Expectation #2: Slight consolidation after filling the “GAP”. There’s some relatively significant number of open contracts open for the 22.50 Jan calls. It means that people are expecting expection #2. The market most of the time is about self-fulfilling prophecy. If you have enough people thinking in the same way, you’ll get it. With the overall market looking toppy, I would bet a little on KR while putting some shorts by buying SDS.